Ozone, Oxygen & Negative Ions. Medical ozone therapy is recognized in Bulgaria, Cuba, Czech Republic, France, Germany, Israel, Italy, Mexico, Romania and Russia. According to the book The Ion Effect, negative ions are effective for allergies, asthma, catarrh, hay fever, sinusitis, eczema, burns, emphysema, and even as a substitute for tranquilizers. It was discovered that negative ions balance serotonin in the body, and this explains why people tend to feel more alert, stable and energized in the presence of negative ions. Dr. Kreuger found that bacteria, staphylococci, and fungi growth is halted in the presence of negative ions, which explains the health improving side effects attributed to exposure to negative ions. Negative ions are also known neutralize positive ions. The SG2000 takes in air and converts it into ozone-laden air before pumping it out in to the bath water at 46 litres per second via the bio ceramic energy mat. Taking an oxygen bubble bath using the SG 2000 is like having a bath in a waterfall. The air over the bath water is filled with increased levels of negative ions similar to the air found at natural waterfall locations. Ozone is a much more powerful disinfecting agent than chlorine(approximately 3000 times more effective) and has long been used in the water purification processes. The SG 2000 generates a constant output of .03 - .05 ppm (German FDA standards). Ozone is commonly used in many parts of the world for purifying water. The ozone breaks down into O2 as it bubbles through the bath water. This neutralizes all chemicals and toxins while providing increased levels of oxygen and negative ions when breathing normally while taking the oxygen spa bath. http://www.ozoneforhealth.com/medical1.html This site provides an excellent resource that is an easy to read summarized version of the most relevant and pertinent information with respect to ozone, it's history, usage and benefits. Its explanations reiterate the results the Japanese found at the Shizuoka Agricultural Society when they completed the study. A very informative read. Bathing in ozone water. Small portable ozone generators that can be attached to your bathtub are now available. Regular soaking in ozone water, in the bathtub or hot tub, relaxes muscle tension, eases stiff joints, and allows oxygen to penetrate the skin making it soft and smooth. Ozone water therapy done at a clinic or a spa is used for the treatment of such problems as eczema, skin ulcers, arthritis, and circulation problems. What does ozone do in the body? Photosynthesis splits water to liberate O2and fixes CO2 into sugar. 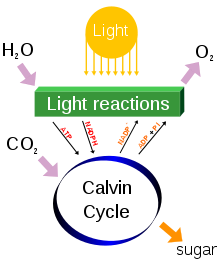 In nature, free oxygen is produced by the light-driven splitting of water during oxygenic photosynthesis. Green algae and cyanobacteria in marine environments provide about 70% of the free oxygen produced on earth and the rest is produced by terrestrial plants.